In the area of judicial cooperation between Member States in criminal matters the legal framework on obtaining and transmitting evidence between Member States consists of several different instruments, based either on the principle of mutual legal assistance or on that of mutual recognition. This framework is generally considered to be fragmented and confusing, creating different legal regimes for different types of evidence. On 29 April 2010 a group of seven Member States introduced a Proposal for a draft Directive on a European Investigation Order (EIO), based on the principle of mutual recognition and aiming at simplifying and unifying this existing framework. The proposed instrument creates a single legal regime, obligatory for the judicial authorities of the Member States unless the strictly limited grounds for non-recognition and non-execution based on very special circumstances are to be applied. The proposed Directive would cover practically all kinds of investigative measures and would thereby replace the existing instruments in this area and unify the legal framework. The Commission had previously adopted a Green Paper in 2009 to consult the Member States and other stakeholders on the issue of replacing the existing legal framework on obtaining and admitting evidence between Member States in criminal matters by a single instrument, also based on the principle of mutual recognition. This consultation process has been subsequently suspended while the EIO initiative has been subject to discussions in the Council as well as in the European Parliament. The LIBE Committee supported on 5 December 2013 the compromise text finally agreed by the three institutions on 26 November 2013. This article, after focusing on the differences between mutual legal assistance and mutual recognition, lists some objections to the extension of the mutual recognition principle in the field of evidence and questions the lack of definition of what an “investigative measure” is. This paper considers the potiential scope of the EIO and what instruments it may replace. It also analyses the procedural safeguards with a focus on the fundamental rights aspects of the EIO and the protection of the individual. This article evaluates the proposal of a European Investigation Order by critically examining each of its articles, focussing mainly on its consequences for the protection of the rights of individuals concerned by an EIO and comparing them with the provisions of the existing Framework Decision on the European evidence warrant. It is generally very critical of how the proposal misses an opportunity to ensure effective protection of the people affected to the same degree as the Framework Decision of 2008. This analysis criticises a number of specific aspects of the initiative, concerning namely the legal basis chosen for certain provisions as well as the extended scope of the initiative compared to that of the European Evidence Warrant Framework Decision, especially the strictly limited grounds for refusal and its possible consequences for the human rights of those people affected as well as for the sovereignty of the requested Member State. According to the author the combination of both the lack of a ground for refusal based on dual criminality and the lack of an exception based on territoriality would strip the executing Member State of its sovereign power to determine which acts are criminal if committed on its territory. This articles analyses the differences between the EIO and the European Evidence Warrant, addressing the question of the necessity of the EIO. It also addresses the question of the safeguards. Based on the wish of the Commission to establish a comprehensive system for obtaining evidence in cross-border cases which was already expressed in the Stockholm Programme “An area of freedom, security and justice serving the citizen”, this Green Paper aimed at consulting the Member States and other stakeholders on their views concerning the replacement of the existing, fragmented regime on evidence gathering and admissibility between the Member States by a single instrument based on the principle of mutual recognition. The main difference between this Green Paper and the EIO initiative is that the Commission envisaged including in the new instrument provisions on common minimum standards for gathering evidence, aiming at eliminating the problems of evidence gathered in one Member State being considered as inadmissible in another Member State because of the way in which it was gathered. The limited material scope of this Framework Decision, which only concerns certain types of evidence already available to the authorities of the requested State, was one of the main reasons for introducing a new single instrument presented by the European Commission in the Green Paper as well as by the seven Member States behind the EIO initiative. This Framework Decision has been in force since the end of 2008 and should have been implemented by all the Member States since 2011. However, the scope of the EIO initiative covers that of the European Evidence Warrant Framework Decision, which would render it superfluous should the EIO initiative be adopted. Commenting on the EIO initiative, article by article, the Commission approves in principle of the initiative considering that it presents some added value to its own initiatives which may take some time before being implemented. However, it criticises certain elements of the initiative, mainly the lack of sufficient legal scrutiny concerning the compatibility of the initiative with the relevant fundamental rights instruments, including the Charter of Fundamental Rights of the European Union as well as the lack of certain safeguards ensuring the respect of fundamental rights. The Commission also suggests the introduction of other elements, including a ground for refusal based on the risk of degrading or inhuman treatment of the individual affected should an EIO be executed, but also data protection provisions as well as a recital preventing forum shopping. Opinion of the European Union Agency for Fundamental Rights on the draft Directive regarding the European Investigation Order / Fundamental Rights Agency, Vienna, 14 February 2011, 15 p.
Answering a request from the European Parliament, the Fundamental Rights Agency delivers its opinion on the fundamental rights aspects of the EIO proposal and more specifically on the different recommended safeguards that would need to be put in place so as to ensure the respect of rights included in the Charter for Fundamental Rights such as the right to fair trial, the right to privacy and the protection of personal data. The Agency makes a certain number of recommendations including that of an evidence-based assessment of the functioning of the instrument and of its implications on fundamental rights. On its own initiative, the European Data Protection Supervisor examines the aspects of the EIO initiative as well as of the European Protection Order initiative which concern the protection of personal data, regretting that these issues have not been sufficiently taken into account in the EIO proposal. By two separate resolutions adopted respectively by the Committees of Justice and of European Union Policy, the Italian Senate considers that the present system for evidence gathering and transmitting between Member States in cross-border situations is confusing and unduly slow, and submits its opinion broadly in favour of the EIO initiative. Nonetheless the Senate makes a certain number of comments and remarks which often differ between the two committees. While the Justice Committee emphasises the need to ensure the effectiveness of the proposed Directive by expanding its material scope to not only criminal but also civil and administrative matters and by strictly limiting the grounds for non-recognition and non-execution, the EU Policy Committee considers that certain amendments should be made in order to ensure the respect of the principles of subsidiarity and proportionality as well as that of the fundamental rights of individuals. On 27 July 2010 UK Home Secretary Theresa May announced that the UK Government was opting into the EIO draft Directive initiative. In its most recent report on the EIO proposal, the UK Commons European Scrutiny Committee summarises the communications which have taken place between the UK Government and the Committee concerning the EIO proposal, including the questions and demands made by the Committee to the Government and its replies. The French delegation adopts a very favourable view of the initiative to replace the existing legal framework with a single instrument based on the principle of mutual recognition. Its main reasoning resting on the unification of a fragmented regime which legal practitioners find complicated to use . The author strongly recommends that certain lessons be drawn from the European Evidence Warrant experience, including that certain of its grounds for refusal be excluded, as well as the possibility of review on the merits of the case or on the proportionality principle. The French position seems in general to be very similar to that of the seven initiating Member States. The German Bundestag considers it to be premature to propose and adopt a new legislative instrument in the framework of gathering and transmitting evidence between Member States in criminal matters, as long as the Framework Decision on the European Evidence Warrant has not been fully implemented and evaluated. It also considers that the responses to the Commission Green Paper should be awaited and taken into account in the deliberations concerning the proposed initiative. In this statement the ECBA considers that the Commission initiative to adopt an impact assessment based on a public consultation before introducing a legislative proposal was appropriate, and urges the Member States behind the EIO initiative to refer to the responses received by the Commission at that occasion so as to ensure that the suggestions and criticisms presented are taken into account. Nevertheless, the association rejects all proposals to replace the existing legal framework by new mutual recognition instruments (including the Framework Decision on the European Evidence warrant which is already in force) until a proper impact assessment on the existing mutual assistance framework has been made. It also claims that for any mutual recognition instrument to be feasible in this area there is a need for binding and enforceable minimum safeguards regarding criminal proceedings and the collection of evidence. Finally, the statement presents detailed suggestions for amendments to be made to the draft Directive for it to be compatible with European legislation on fundamental rights. In this briefing the human rights’ organisation Justice presents its viewpoint on the EIO proposal, comparing it in part with the Commission Green Paper to which it also responded. Justice considers that the existing legal framework on evidence gathering and transmitting between the Member States is very fragmented and that this unduly slows down criminal cross-border proceedings and investigations. Justice considers that it is necessary to adopt a comprehensive, legally binding framework to replace the existing one, and welcomed the Commission initiative as well as the EIO proposal. Nevertheless, the organisation firmly suggests certain amendments to the EIO proposal, concerning mainly the need for an impact assessment and for safeguards for the fundamental rights of individuals, judicial scrutiny possibilities for both the issuing and the requested State as well as added grounds for non-recognition and non-execution. Fair Trials International, after having replied to a number of questions it imagines the public might ask about the EIO initiative, gives its opinion on the initiative and raises three main concerns: the lack of an impact assessment proving that there is a need to replace the existing legal framework with a single mutual recognition instrument, the lack of a political debate or scrutiny before the UK decision to opt into the initiative, and the ramifications of the adoption of the draft Directive for police resources and civil liberties. In particular the author questions whether the principle of mutual recognition is applicable in an area where there are considerable differences between the legal systems of the Member States. 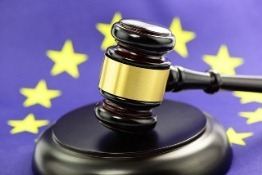 In this very well argumented position on the Commission’s Green Paper the Italian Criminal Law Association presents a very critical view of the general evolution of European legislation in the area of freedom, security and justice as putting too much emphasis on combating crime and not enough on ensuring the respect of fundamental rights. The Commission Green Paper takes yet another step in that same direction, and the authors strongly reject this initiative mainly for this reason. They develop this view by analysing all the different aspects of the existing legal framework on evidence gathering and sharing in criminal matters and the consequences of the adoption of an instrument such as that proposed by the Commission. The Council of Bars and Law Societies of Europe is concerned by the lack of definition of “investigative measure(s)” and focuses mainly on defense and fundamental rights.